Liba Center releases new report on Jewish Agency's role in promoting Reform, Conservative Judaism in Israel. A new report from the Liba Center, which works to strengthen Jewish identity in Israel, concluded that the Jewish Agency for Israel has become an enthusiastic supporter of the Reform and Conservative movements over the past few years. Rabbi Ohad Cohen, a member of Liba, told Arutz Sheva that the problem is clear and now appears in black and white on the Jewish Agency's website. "They really aren't hiding it. A few days ago they took part in laying the cornerstone for a Reform seminary in Jerusalem. They are supporting Beit Daniel in Tel Aviv and millions of shekels are flowing from the Jewish Agency to Reform and Conservative movements and their teaching institutions, at the same time that Orthodox Jewish institutions only receive money for social programs." He claimed that the recent developments surrounding the Kotel outline and Reform conversions were accomplished with the Jewish Agency's full support. "Sadly the Jewish Agency, instead of encouraging aliyah to Israel, is helping Reform groups, both in everything dealing with conversion and certainly the Kotel outline. 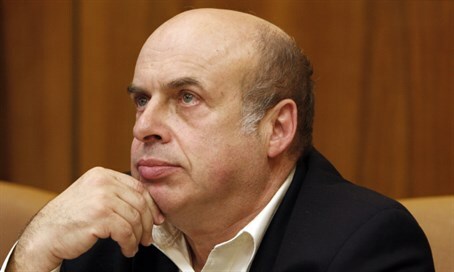 Natan Sharansky (the head of the Jewish Agency) was one of the initiators of the southern Kotel plan and of giving up control over the southern Kotel to the Jewish Agency, as well as giving control of the Kotel to Reform Judaism." According to Rabbi Cohen, the Jewish Agency's board members include many Reform Jews who wield a strong influence on the group's decisions. "Sadly when Sharansky took over the role he wanted to create a pilot program to fight assimilation, but it fell apart and this has a destructive effect on world Judaism." In response, the Jewish Agency stated that the funding supplied by the Jewish Agency to various denominations in Israel is aimed at fulfilling institutional needs that are not funded by the state, including Reform and Conservative seminaries. The Israeli government only funds Orthodox institutions.